On October 25, Xiaomi will introduce its new top smartphone. The Chinese manufacturer has officially announced this on Weibo. With the new phone, the borderless design is to be pushed to the extreme. Unlike the competition, it should have no notch, the gap in the display, and have a minimal edge. The narrow edges on all sides should be achieved by a trick: front camera and sensors could be stuck in a removable module. Rumor has it that the earpiece is integrated into it. Using a slide mechanism, the module then moves from the upper half of the device as needed. Xiaomi Mi mix in hands-on: Where is the edge? For the equipment of the Mi Mix 3 there is no reliable data. Most likely, however, is that Xiaomi installed the Snapdragon 845. The memory could be used up to 10 GB of RAM. There is also speculation about a fingerprint sensor in the display. But this could also be waived and instead be set to the unlocking by means of face recognition, as in Apple’s FaceID . The necessary space for the sensors would be present in the withdrawable module. Mate 20 Pro, OnePlus 6T and Co: These Android smartphones promise a hot autumn. Probably on the MiMix 3 Android 9 in conjunction with MIUI 10 is installed. With that, it would have the new gesture control that makes the navigation bar redundant. The operation is thus strongly reminiscent of the iPhone X and is a familiarization for Android users. In addition, it should already support the new radio standard 5G , of which buyers in Germany, however, for the time being have no advantages. 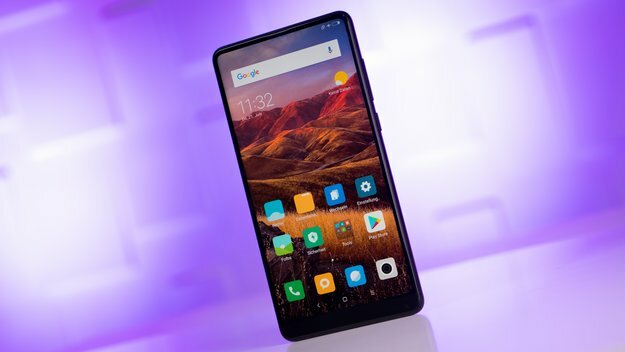 The price for the Mi Mix 3 is not yet known.